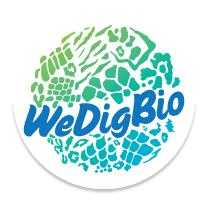 The WeDigBio Dashboard (shown at top) is mapping and tallying your transcriptions. As you can see, thousands of transcriptions have already been completed from many locations around the world. This dashboard can be a great visualization to show your onsite and offsite participants. 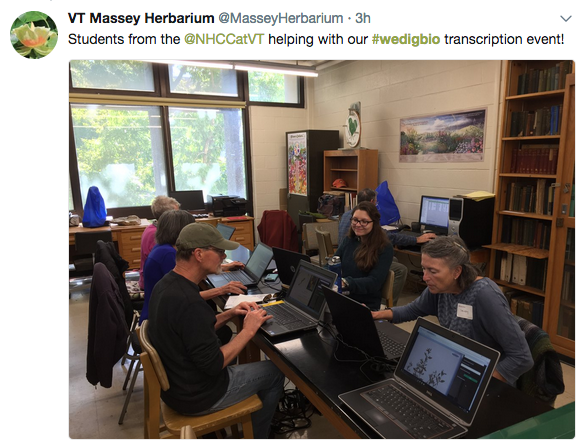 Day 2 started with the news that Notes from Nature had the most transcriptions in a day since they rolled out v.2 a year+ ago. And with several hours still to go, it appears that you've help break the record again today! 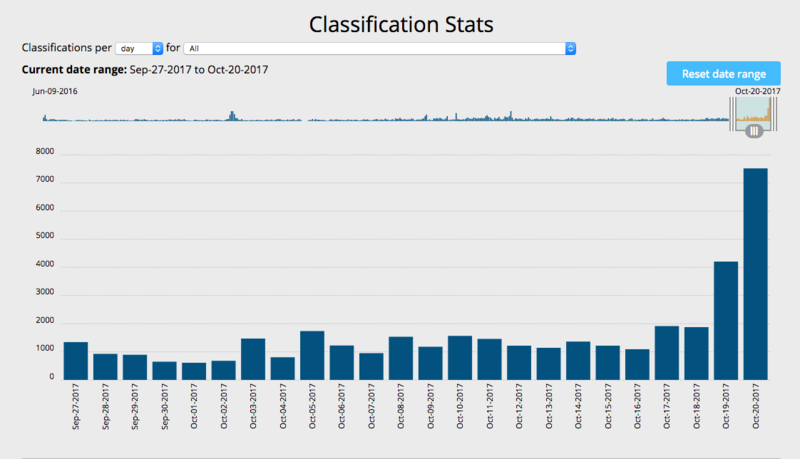 Follow along on the NFN statistics page. 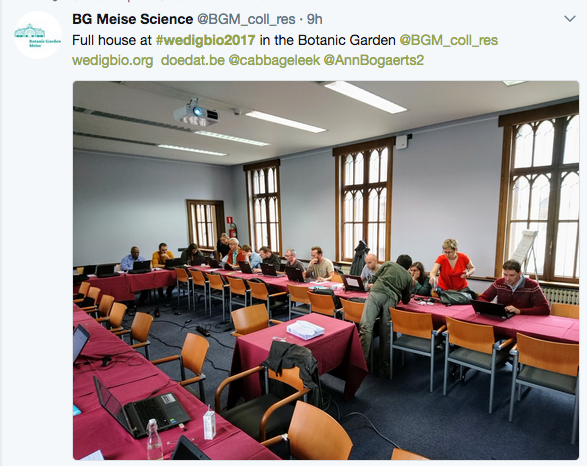 Day 2 events started in Europe, including those at Kew Gardens (London), a well-snacked full house at Botanic Garden Meise (Belgium, below left), and some sweet Visiteering swag bags from NHM-London (below right). Looking for ways to spice up your your event? 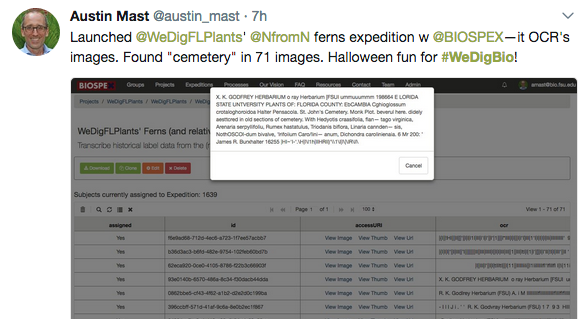 Consider keeping your eyes out for a spooky, science-y, or fun word on labels. And offer a prize for finding it! 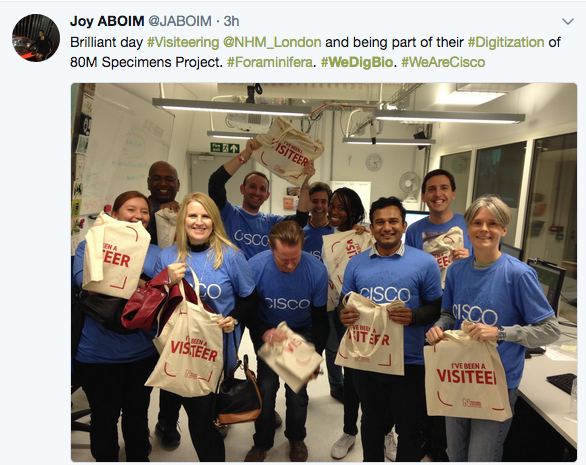 Sococo continues to be a excellent tool for connecting people and many events have been able to take advantage of it. Towards the end of the western hemisphere's Day 2, folks at the Australian Museum were in their Day 3 and were able to do an impromptu Hello (or G'day, as it were ;) with the group at Florida State University. 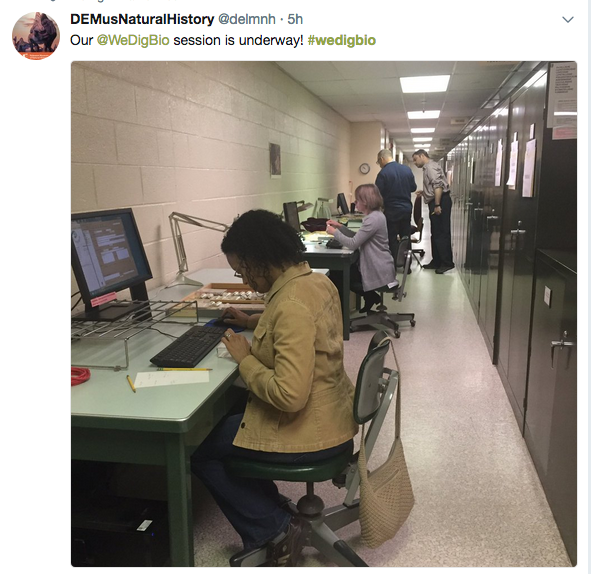 On Day 3, we're looking forward to several events, including those at the Indiana University Science Fest and the University of Vermont's Pringle Herbarium, as well as additional events at The Field Museum, and the Delaware Museum of Natural History. Join us in person and online and let's see what records we break!